​Being a young adult should be fun! When school, home and family responsibilities are completed, there is time just for you. Too much free time can sometimes be dangerous and trouble can often follow. Fortunately our community has several opportunities for you to make friends, get involved and have FUN! Here are some websites that provide opportunities for you to get involved. "At the Y, children and teens learn values and positive behaviors, and can explore their unique talents and interests, helping them realize their potential. That makes for confident kids today and contributing and engaged adults tomorrow." "The nine South Salt Lake Neighborhood Centers, located in schools and community-based locations, serve South Salt Lake’s children, youth, families, seniors, and people who work in South Salt Lake through academic, arts-based, physical fitness, recreation, social, and cultural programs at no or low cost." "YouthWorks provides Christ-centered mission trips for more than 20,000 teenagers and adult leaders in over 45 communities across the U.S. and beyond. " "Our mission is to create pathways for all youth using soccer to inspire them to step up to overcome life’s challenges and achieve their full potential." Programs include: Youth and Adults sports; including Jr. Jazz, outdoor soccer, tee ball, flag football, girls softball, youth volleyball, Ski and snowboard lessons, Child care; 18 month-12 years, Aquatics; swim lessons, open plunge, lap swimming, pool rentals, Classes; aerobics, cycling, tae-kwon-do, tumbling/dance and etc. "Our mission is to help youngster grow, learn, and build social skills through soccer. If our players lack the resources to play competitive soccer, we are there for them whether they lack a coach, reliable transportation, or soccer equipment. Players practice twice per week and compete with other Utah Club teams." Boys & Girls Clubs provide a safe place, caring adult mentors, fun and friendship, and high-impact youth development programs on a daily basis during critical non-school hours. Club programs promote academic success, good character and citizenship, and healthy lifestyles. Several different locations. ​​Some of the activities and resources that the center offers include a variety of sports programs, educational programs, after school and summer programs, Global Artways programs, Kids’ Café, computer technology, and a swimming pool. Repertory Dance Theatre is dedicated to the creation, performance, perpetuation, and appreciation of modern dance. A variety of classes and workshops are offered throughout the week. The Slat Lake County Libraries place over 2 million items within your reach, including books, audiobooks, eBooks eAudiobooks, magazines, music and movies. Free computer and internet use. Free wireless internet and so much more. Since 2009, MusicGarage.Org's Teen Rock Bands has built an award-winning reputation by working with area music teachers to incubate teen rock bands. Our method develops teen rock bands both organically and dynamically. Our bands perform as many as thirty concerts a year at venues, festivals and special events! For Youth...Someplace To Go. Someone To Help. 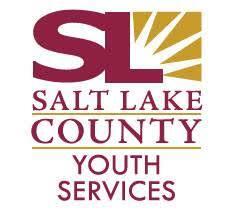 Youth Services manages the nationwide program called Safe Place in Utah, which is dedicated to helping youth in trouble with a safe place to go for help and/or shelter. The Homeless Youth Walk-In Program is located at the west entrance of the Juvenile Receiving Center. The program provides 24-hour services to homeless youth. No ID is required to access the free services. Free permit practice tests, Frequently asked question and information on driver's requirements.